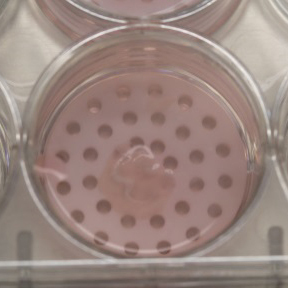 We ship our gels as ready-to use culture bases including multiwell plate inserts (hydrogel disks) of various diameters, custom hydrogel sheets, specialized kits or even organotypic model scaffolds, such as eye cornea. 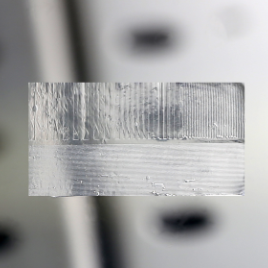 Because our crosslinked hydrogels retain their shape, we can make micromoulded or micropatterned surfaces of our hydrogel to your specifications. Our hydrogels are based on proprietary peptides, which-self assemble into nanometer-scale fibrous structure. 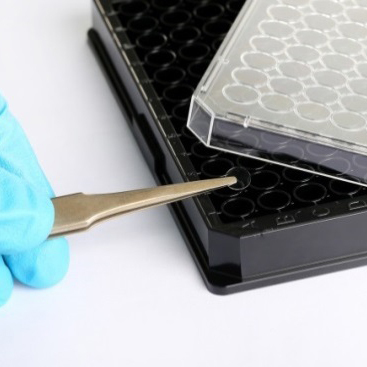 This platform allows us to custom-design specific sequences and/or formulations for different cell culture/tissue types. When ordering, please tell us about your experiment and cell culture type you would like to be using our products with, and we will assist you in choosing the appropriate product.